Have you been looking for a modern compact SUV that you can enjoy driving on a regular basis? If so, visit Charlottetown Toyota in Charlottetown, PE. 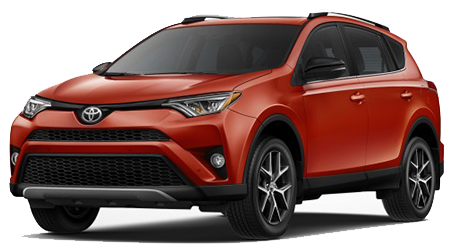 At our dealership, we house a vast array of Toyotas for motorists to test drive including the 2016 Toyota RAV4. Charlottetown Toyota proudly serves Charlottetown, Stratford, Mt. Herbert, Cornwall, Marshfield, Brackley, and Milton Station. Stop by Charlottetown Toyota at 1 Superior Crescent Charlottetown, PO BOX 730 and discover a new RAV4 today. When it comes to getting into a stylish compact SUV that can provide you with an enjoyable ride, then check out the 2016 Toyota RAV4. To get our best price on a Toyota and to test drive a host of Toyotas, visit Charlottetown Toyota in Charlottetown, PE. Come by Charlottetown Toyota from Charlottetown, Stratford, Mt. Herbert, Cornwall, Marshfield, Brackley, and Milton Station to explore a RAV4 today.